Originally designed and manufactured by SafeSmart for a fleet of Airbus A350 aircraft as part of a suite of steps, stairs and platforms. 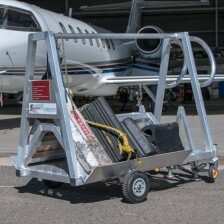 This system features a sliding upper platform to allow access to complete length and height of the engine at all times. And sliders protrude from the side of the platform to match the shape of the engine. 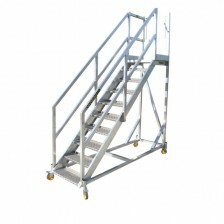 Handrails are reversible to configure platform for either side of the engine and aircraft.